I made a post about the cut-off times of running events in my post in this blog on May 17, 2011. Until this time, I don’t see any reason why Race Organizers/Directors had to impose cut-off times in their events. For the Marathon Races where most of the city roads are closed from vehicular traffic, six (6) hours is a decent time as a cut-off time in order to relieve the riding public of the inconvenience it would bring if the race is extended up to nine or ten or twelve hours. But on second thought, the cut-off time being imposed is not for the safety of the runners of the event but for the convenience of everybody. In my post, I made mention of some of the popular ultra races in the world with their prescribed cut-off times. It is obvious that Road Ultras have a shorter cut-off times than those mountain trail races, except for the Badwater Ultra Marathon Race. UTMB’s 166K has a cut-off time of 46 hours; Hardrock 100 which is dubbed as the hardest mountain trail ultra in the USA has a cut-off time of 48 hours; Barkley Marathon has a cut-off time of 60 hours where each loop of 20 miles has a cut-off time of 12 hours; and the most prestigious Western States 100-Mile Endurance Race has a cut-off time of 30 hours. 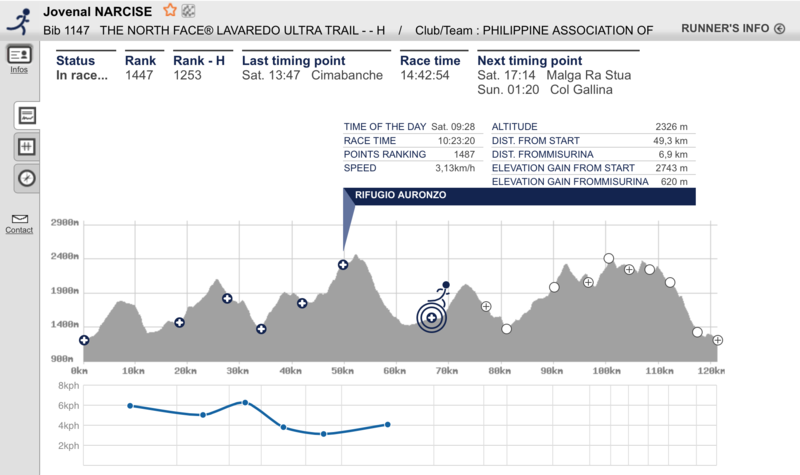 Each of these ultra races has their reason why the Race Organizer/RD have to impose cut-off times. Moreover, there are intermediate cut-off time in every checkpoint along the route which forces the runner to meet such times, or else, he/she would be disqualified. Such intermediate cut-off times are being strictly enforced as race marshals would strip each runner of their race bib or tag and advised not to be allowed to continue the race. I would surmise also that such cut-off times are being imposed by the Bureau of Parks and Wildlife which manages or administers safety in these wilderness parks as one of the conditions for the issuance of event permits. Without any reference on these cut-off times, I would conclude that the Race Directors, who are former ultra runners during their prime age, would be able to “test run” the course by themselves and come up with an arbitrary cut-off time based from their personal capability or finish time results. Or maybe, they invited some of their ultra friends to “test run” the course and get the “mean/average” time of the finishers. 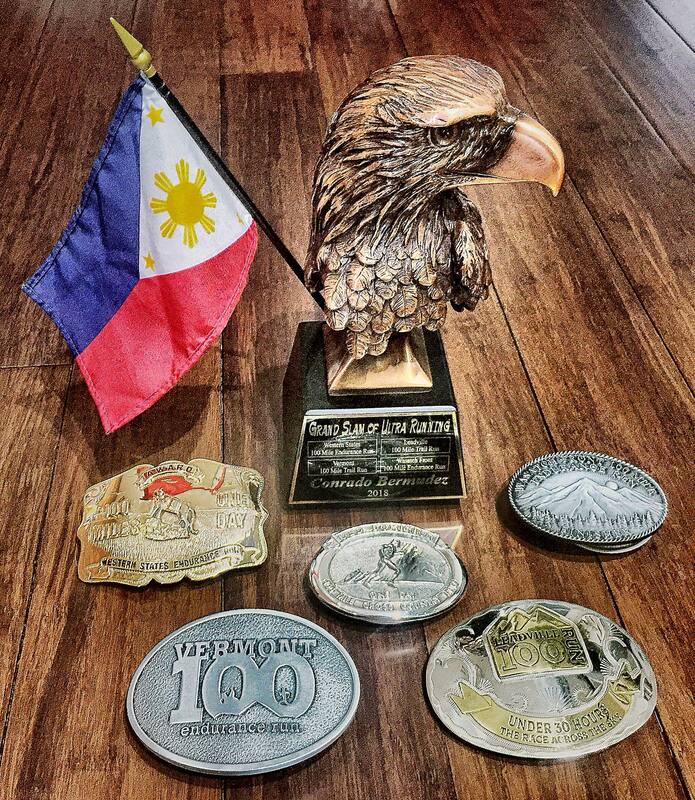 When I thought of organizing the Bataan Death March 102 Ultra Marathon Race, it was a challenge for me to come up with a decent cut-off time for the whole race. After conducting some “50K test runs” with my ultra running friends, I was able to come up with the 18-hour cut-off time, where an average well-trained marathon runner would be able to finish a distance of 50K in 9 hours, which way beyond the 6-hour cut-off time for a marathon (42K) race. This is the reason why one of the qualifications of a BDM 102 participant is a Marathon Finisher. As for the BDM 160, I just added another 9 hours and another 3 hours for the remaining distance of 58 kilometers where I considered the heat and humidity in the country as the main challenge to finish this event. 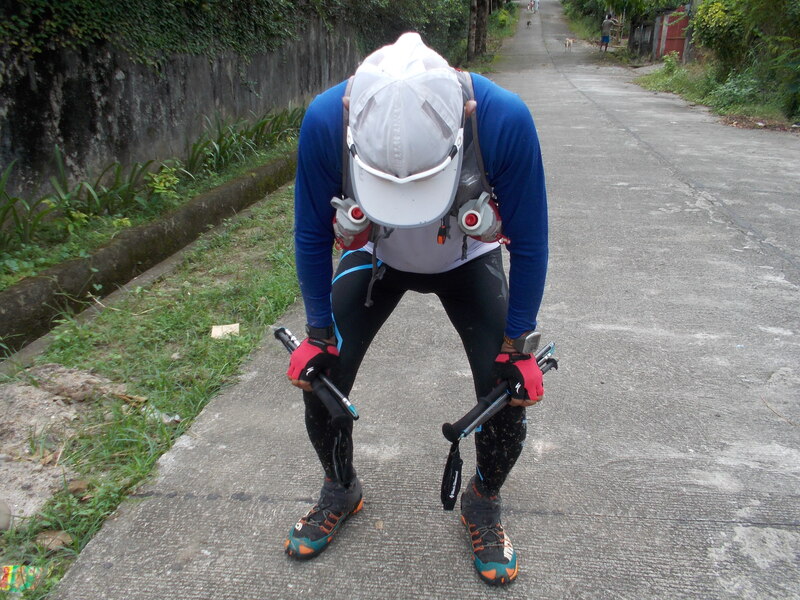 When I thought of coming with the first trail ultra marathon race in the country, I would conduct by myself a “test run” on the course by dividing the whole distance of 162 kilometers into two parts. 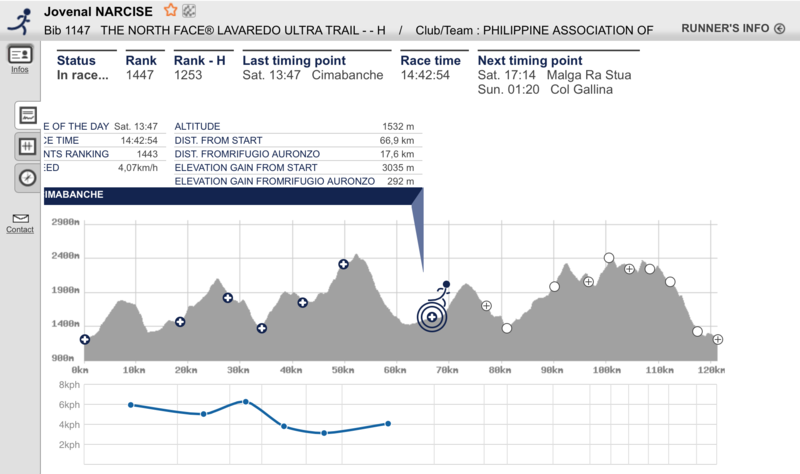 Thus, I came up with 32 hours as the cut-off time for the 1st Taklang Damulag 100-Mile Endurance Race which was maintained for the past 3 years/editions. As I ran through roads and trails in the country, I made sure that I would “test run” any course/route that I would like to be transformed into an ultra running event for the runners. I never changed on how I would come up with the “cut-off” time for my races. I would “test run” the course and whatever time I would register as my finish time, such time will be considered as the official cut-off time for the ultra event. Considering my present age to run through the course, I think it would be fair that my finish time will be the target time for the younger runners. It should be noted that Intermediate Cut-Off Time is the time that a runner would leave the Checkpoint. So, what is my message in this post? 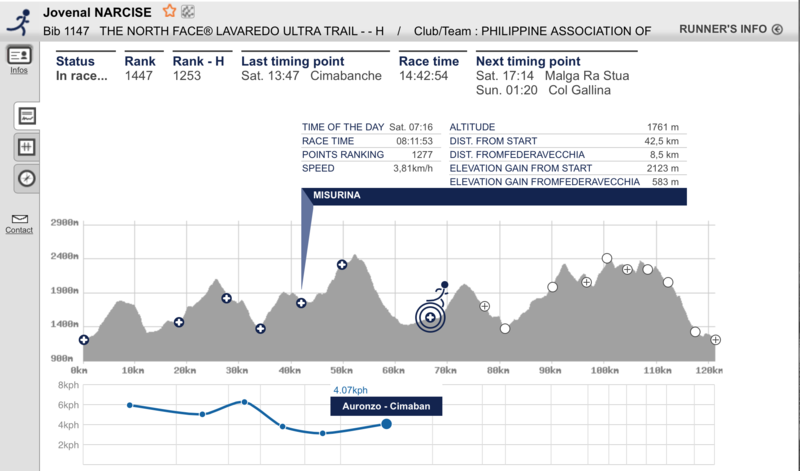 It simply means that a well-trained ultra runner could easily finish my ultra races within the prescribed cut-off times. These cut-off times (intermediate and whole course) will be one’s measurement or gauge if proper training and preparation had been made prior to the event. If one could not meet such cut-off times, it simply means that one lacks the proper training for the event. Let us stop bragging ourselves to have finished a race even if you have finished way beyond the cut-off time. Let us stop giving any “finisher’s loot” for these kind of finishers. A TRUE & OFFICIAL FINISHER is one who finishes the race within the prescribed cut-off time for the event. Good luck and see you in my future ultra races. Tell me a place within Metro Manila where you have a dirt path/road where you can do some trail running. I guess, there is none. That is the problem when our urban planners do not value the need of a place within the city where we can enjoy the environment of the outdoors. I know of some golf courses in the city but you can rarely see trails inside these golf courses and most of them are restricted from pedestrians. There are places within reach in Metro Manila for about 30-minute drive from the main populated areas but you can not still escape the dirty surroundings of garbage and poor quality of air due to industrial plants’ and vehicles’ fumes. One has to travel at least 1-2 hours away from Metro Manila in order to reach the mountains of Tanay, Tagaytay, Laguna and Cavite. If you have determined a specific trail/s on these places, you can enjoy the outdoors and have a pure experience on trail running away from the populace and the traffic of vehicles. 1. The Best Air Quality For The Body-–One has to breath a lot of air/oxygen when you are in the trail, whether you are hiking or running. But there is no need to worry as the air you are breathing are pure and unadulterated. The plants and trees all around you will be happy to have your carbon dioxide that you breath out from your lungs! Sometimes, cold winds from the mountains and the sea would hit your body and the feeling is something that is invigorating! Our lungs would be happy to have fresh air to our body. Being away from the populated areas and busy highways/streets, you have a bigger chances of breathing better quality of air. The more you run in the mountains, you have better air to breath. And once you reach the forest, the air is cooler and you have the best air quality in the area. Sometimes, there are places where it is hot and humid but simply hydrating oneself regularly would solve the problem. There are also creeks and streams where you one can douse cold water to your hot body. 2. Strengthens Joints Up To The Smallest Muscles, Cartilages, and Tendons—Due to the varied condition of the ground, our feet would land to the ground in different and varied positions and this condition would have a “domino effect” on how our muscles, joints, tendons and cartilages would react on how we run. Instead of being “on the zone” when you are in a road running event, your body is always on alert on the varied conditions of the terrain where you are running. I have observed that my feet and the muscles of my legs had become stronger and I no longer experience any cramps on my calves. Surprisingly, my problem with my right achilles tendonitis just disappeared. As for my knees, I would be able to manage the pain better if I run on the trails because of the softer feeling as my feet would strike the ground. 3. Exercise For The Brain For Quick Decisions—Trail Running makes you aware on what to expect on the 3-10 meters in front of you. Due to the variation of elevation and contour of the trail, whether it is ascending or descending, your thinking process is very active. You have to make quick decisions on how you manage the uphills and downhills depending on your capability. If there are rocks or debris (branches; twigs; and leaves on the ground), one should be quick to decide if you have to jump over or just simply step on them. In crossing rivers, creeks, and streams, one has to quickly see and determine the exposed rocks where one could land ones feet in order to keep ones shoes from being wet. I’ve seen a lot of runners who slipped on muddy trails or tripped on dry trails due to poor or lack of decision. 4. Commune With Nature—If you are running the whole trail course, this reason is a flimsy one as you don’t have the time to appreciate your environment. You don’t have time to look around as your concentration and focus will be the trail in front of you. However, it is suggested that you should rest and sit for awhile on a vantage position where one can observe the surroundings. A camera from ones phone would be appropriate to record and journalize the things that you want to capture as a remembrance on the trail that you have been. Appreciate the surrounding mountains, hills, trees, grasses, and the birds in the area. Take time to breath the air as one would rest within the trail route. One should avoid picking edible fruits along the way; picking some flowers; or bringing home some orchids or ornamental plants from the mountains. It’s enough that one should clean the trails from grasses; thorny vines; and branches of plants. At all costs, we have to preserve the environment if we really dedicated to commune with nature. 5. 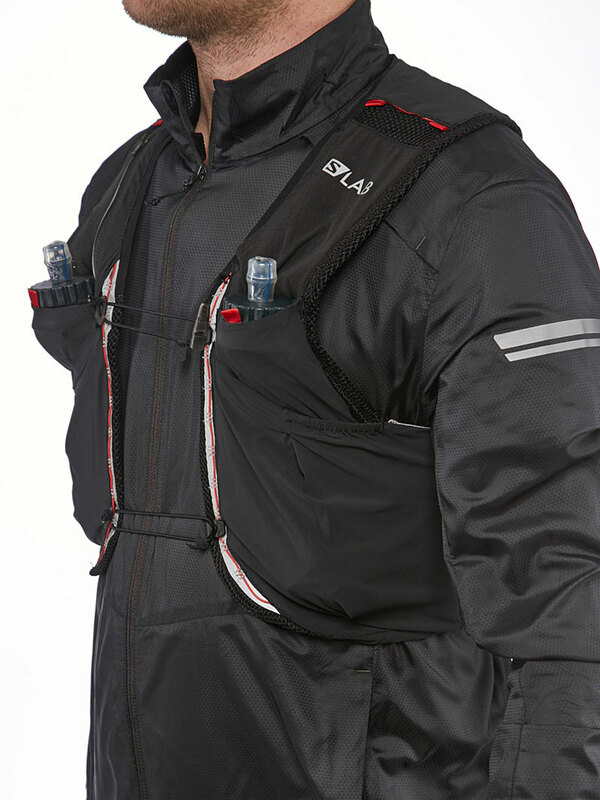 Gain More Information—With the aid of my Garmin Watch, I would be able to pinpoint and establish prominent features in order to establish kilometer markers along the way. By talking to persons I meet along the trail, I would be able to know the name of the place; what direction the trail would lead me or find out where I can get water resupply from the creeks and streams within the area. It is automatic for me to greet the persons I meet along the trail and tell them what I am doing in the area and where I came from. Don’t let the people within the area come up with some suspicion about your intention in the area, it is much better if you talk to them and hear your purpose in the area. If you drop by a hut/house in the area for your water resupply, find time to talk to the owner or anybody staying in the place. There is a big chance that you will be dropping by that place again in the future. 7. 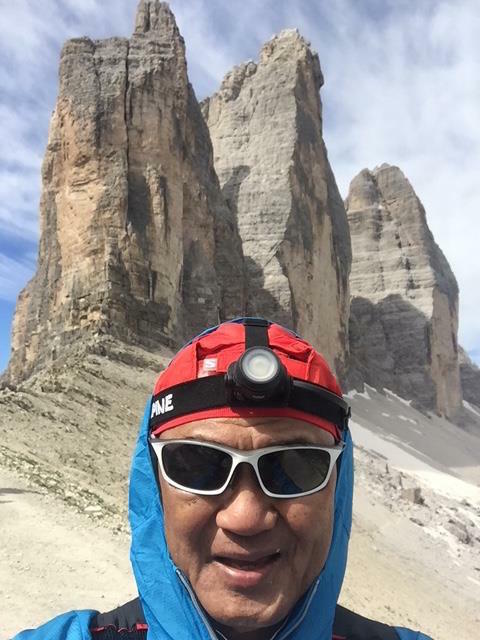 Explore The Unknown-–Since I don’t carry any compass, GPS, or map, I just try to look at the horizon and ask my training partner to reach a certain feature on the ground or follow a trailhead and see for ourselves where the trail would lead us. If we are running in our usual trail loop/route and if we see an intersection, we had to explore where the new trail would lead us. This is where we would be surprised to see a more unique and better environment and sights to be seen as offered by the natural resources in the mountains. This is how we discovered our water resupply points and places where we could spend some rest and take our lunch. What surprised me most is the presence of gates and fences in the mountains. It means that somebody has already acquired such area bounded by the fences as a personal property. I wonder how could that be when these mountains are considered as Natural/National Parks. 8. Share One’s Experience To Others—Definitely, the end purpose of these trail running is to come up with a trail running course/route for a trail running event for everybody to experience. It would be best that my trail running events will not be sponsored by corporate brands and I want my events to be exclusively for those who trained and prepared for the event. I really don’t care if I have only four or three runner-participants in these events. The lesser number of participants, the better for the trails and the mountains. I would envision also that the populace within the route would also earn a living out of these events as they provide fresh produce from their orchard to the runners or act as guides/marshals in key intersections in the trail route. 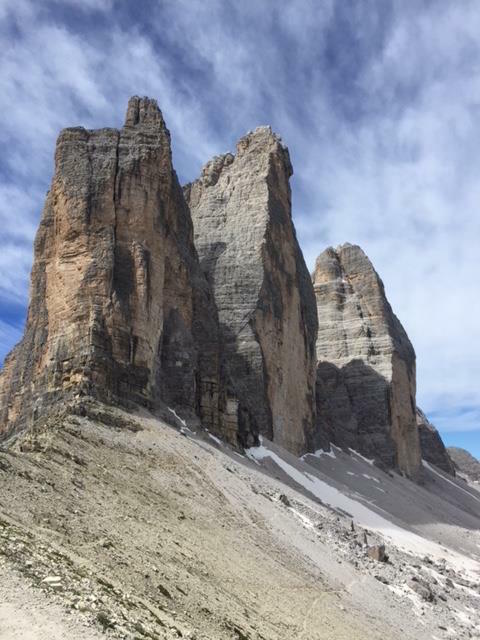 If I am training for a particular ultra trail event, I usually share my experiences and the sights I’ve been into in this blog or through Facebook through pictures and stories. 9. Faster Recovery-–This is the most kept secret among trail runners! Whether it is a 2-hour trail run or 12-hour trail hike, I could recover easily after a day or 24 hours! All I need is to stretch properly after the run; hydrate and replenish the fluids that I lost during the workout; take a shower; eat my dinner, and then sleep at least 8 hours. Sometimes, a massage before going to bed contributes to a faster recover but I seldom have that for the past two months of my training. With my age, if I do a 2-hour run on the road, it would take me another 48 hours to recover before I could run again. 10. Specificity Of Training—Obviously, if one is preparing for a trail running event, he/she has to spend more time running in the trails. 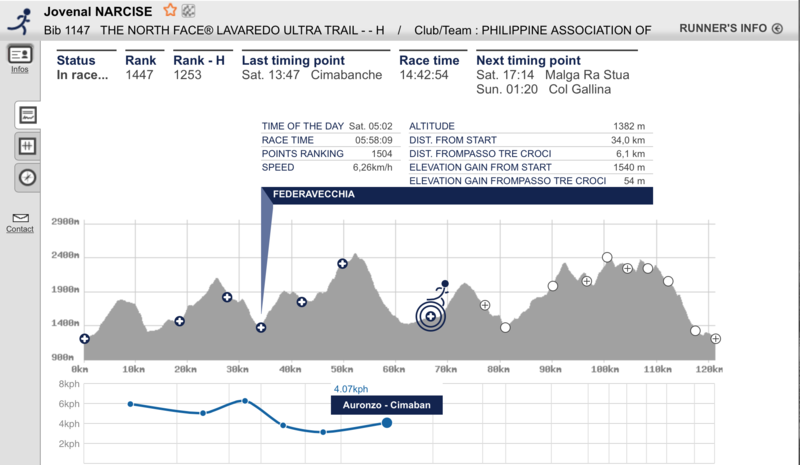 If you are preparing for a trail ultra, you have to do your training on the trail that has almost the same elevation profile with the race you are going to participate (and have registered). Since I’ve shifted my running races to ultra trail running, I had chosen to spend most of my training in the mountain trails. 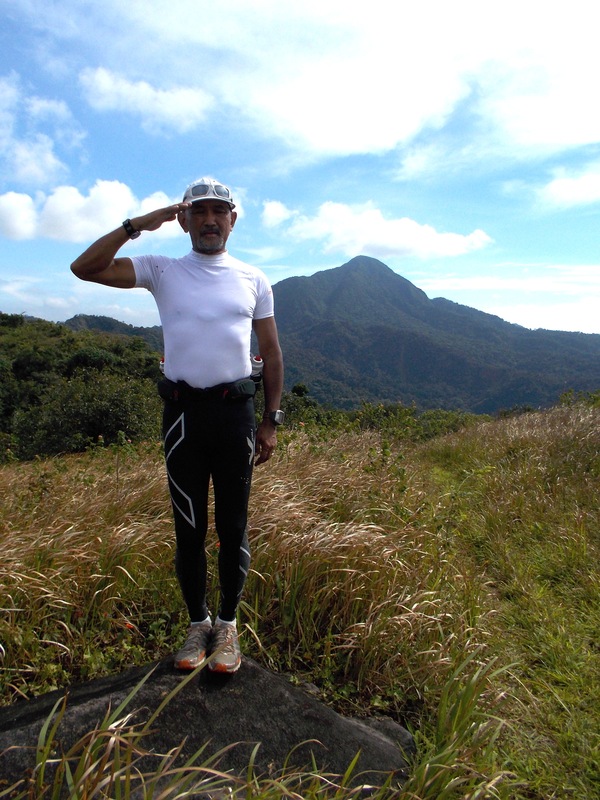 My Snappy Salute To All Mountain Trail Runners! 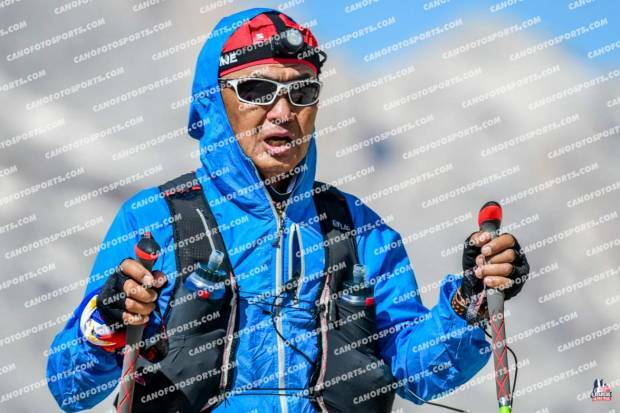 Since the time I read the book, Ultramarathon Man: Confessions of an All-Night Runner by Dean Karnazes, I had been introduced to a Mountain Trail Ultramarathon Race Event called “The Western States 100-Mile Endurance Run”. Eversince, I’ve been annually trying to know the winners and “stars” of this event. It is fortunate that in this year’s event, the top 100-milers in the USA and Europe competed in this prestigious race. 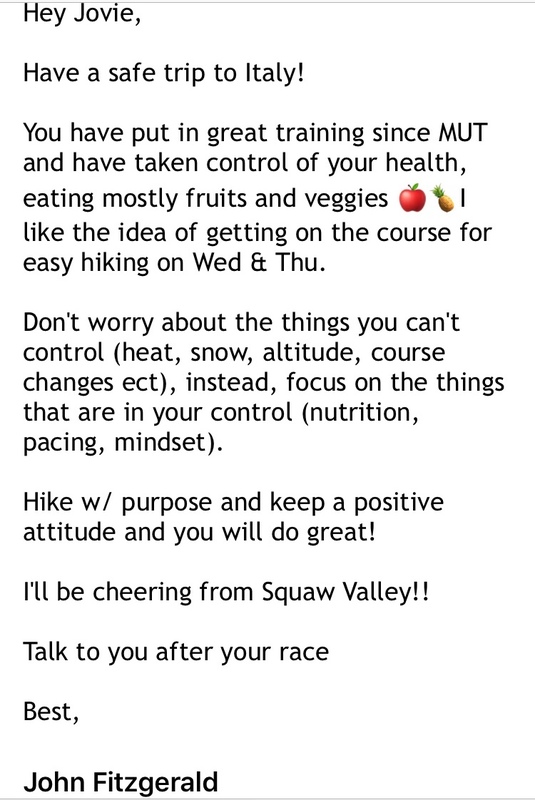 As a mental “prep” for the Marathon Runners in tomorrow’s 34th MILO Marathon Elimination Race, I am posting the following article which I copied at the Ultrarunning Magazine’s Online Site. 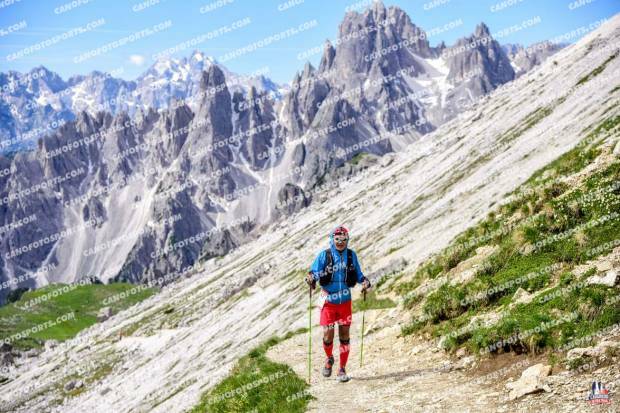 However, it would be much better to continue visiting the links and blogs of the key runners, Geoof Roes and Anton Krupicka for their detailed story about their race. I hope my readers who will be running their Marathon Race (42K) will be mentally prepared and inspired to do their best in tomorrow’s race. Good luck to everybody and see you tomorrow morning. Auburn, California, June 26. Geoff Roes of Juneau, Alaska took the lead at mile 89 in breaking the course record at the 37th annual Western States 100, posting a 15:07:04 winning time. Anton Krupicka of Boulder, Colorado and Kilian Jornet of Spain ran neck and neck throughout the day, with Roes biding his time a few minutes back. He reached the river crossing (mile 78) in third, 15 minutes back, and began his final charge. Krupicka dropped Jornet by Auburn Lake Trails, but was caught by Roes four miles later. 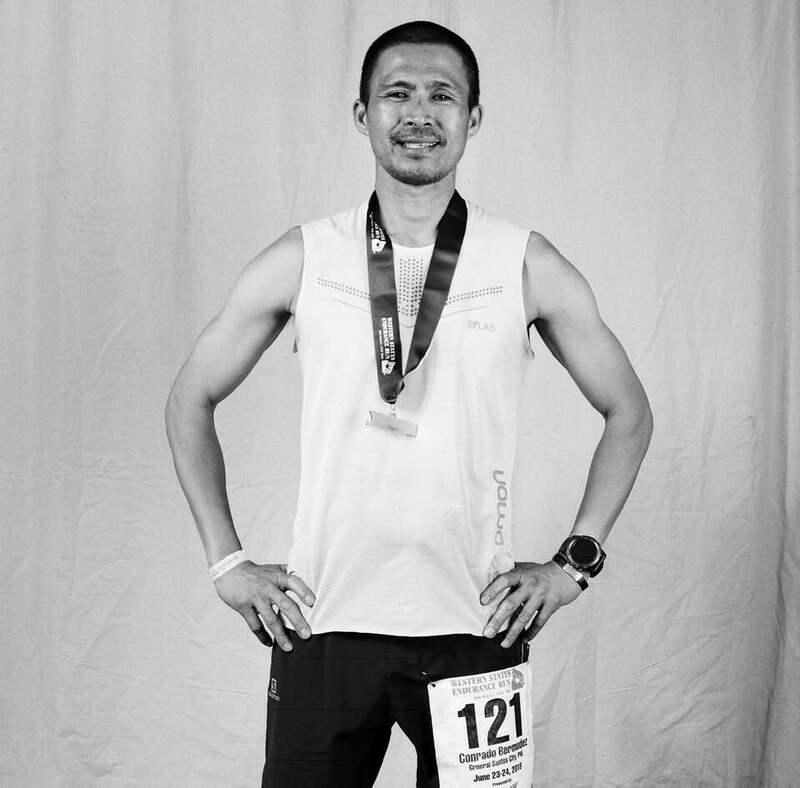 The two ran within a minute of each other through the Highway 49 crossing (mile 93.3), before Roes pulled away on the stretch to No Hands Bridge (mile 96.7) and opened a six-minute lead, which he maintained to the end. Krupicka, in finishing second, was also under Scott Jurek’s previous course record. Tracy Garneau of Vernon, British Columbia was the women’s winner, leading most of the race. She posted a 19:01:55 winning time despite fighting Achilles tendon issues the last 20 miles. Meghan Arbogast was second, in an impressive performance at age 49. The weather was not an ally of the runners, with the high temperature in Auburn reaching 93 degrees F. A record 123 silver buckles were earned by runners breaking 24 hours, besting the 106 in 1997. Out of the 426 starters, a record 327 finished the race within the 30 hour time limit.